Making money online seems like the best way to make money nowadays. Most customers are making their purchases online, generating business websites such as Amazon -making billions of dollars yearly. This is why many online entrepreneurs are setting up their own e-commerce sites or selling their products and services through the business website. To get in on this action, you need to understand how to set up a successful online venture. Although it seems like it is easy to make money online, you will need to develop a strategy that outlines the actions you will take to gain customers. This is because you are not the only person who is trying to make money online. The customers who you are targeting are also being targeted by another individual who is trying to create a successful online business. Therefore, you must determine who you will earn the dollars of the consumers. You do not just want to jump into building an online business if you have not done your homework. If you create an online business without doing the necessary research, you will find yourself frustrated when no one is buying your products or services. This will occur because you do not understand what is wanted by your customer base. In order to help you create a successful online business, the following four steps have been provided for you to follow. These four steps will help you develop an online business that has a chance a succeeding due focusing on building your business with the right principles in mind. Too many people go into business based off of their biased opinion or validation from family and friends. Your biased viewpoint will make you think that customers will buy what you are offering because you are selling something such an amazing product or service. Your family and friends will agree with you because they do not want to hurt your feelings and want to encourage you to proceed forward. These are both disastrous because you are thinking based on emotions rather than viewing your product or service objectively. You will end up creating something no one will buy due to the lack of unbiased opinions being used to gather information about the actual quality of your offering. Therefore, you will need to allow a group of people who represent your target audience to test out your product or service. These are people who will give your their real opinion on rather your product or service is worth their money. This is the type of feedback that you need to learn the strength and weaknesses of your offering. It saves you from wasting time and capital on something that will not prove successful in the marketplace. It is better to know this information before spending your money on product development and marketing. To gain feedback on your product or service, you can create a crowdfunding campaign asking people will they pay for your product or service before it is actually developed. Set a goal of how much money needs to be raised for you to proceed forward in your development. If you meet or exceed your goal, you should proceed forward. If the goal is not met, then you need to go back to the drawing board. You can also create online surveys, use focus groups, and gather feedback through social media. When doing this, you want to learn what are the problems that your target market is having. Then you will want to learn the type of solutions that they believe would provide the best resolution to their problems. The solutions that they are telling you they want is what they will pay for. Therefore, you are equipped with the information to provide the products and services that your target customers will actually pay for. A website is an asset you must have if you are operating an online business. 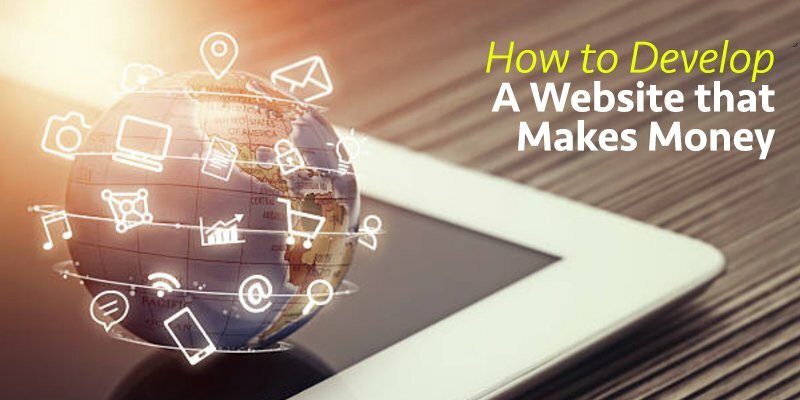 Your website is needed for two reasons. The obvious reason is that you need an online location where people can go to learn about your products or services and make purchases, this cannot be done by social media. Your website represents your brand. The purpose of your website is to not only sell products and services but to sell the value of your business, which develops your brand. Your business website should have a simple layout, great content, and encourage people to sign up to your email list. A simple design helps to eliminate distractions that make people lose focus of why they are on your website. Great content helps to educate people about the value of your products or services. An email list is the most effective way to sell to people online. You will need to determine what content management system will be used. Many people prefer WordPress since it is user-friendly and is free. You will need to register your domain name and find a hosting service that your website will be housed on. You will need to customize your website with plugins and themes that enable e-commerce functionality. WooCommerce has free e-commerce themes that are available for WordPress. If you are strictly focused on having an e-commerce website, Shopify and Squarespace are easy to use e-commerce platforms that allow you to build an e-commerce site yourself. You will need to know the competition you are dealing with in order to develop products or services that have differentiation. It will not help you if you are selling offering something identical to competitors who already have market share. You will need to create a competitive advantage that makes your product or service stand out. You can do Google searches referencing keywords that represent the type of products or services you offer. When doing this, you want to determine what your target market likes about your competition’s offering. You also want to see what type marketing your target market responds to and the type of content they enjoy. This will help you devise a plan that combats the strengths of your competition while attracting customers with the most effective methods they respond to. In order to increase your sales, you need to have a dollar amount in mind that is your specific goal. Let’s say your goal is a million dollars. You will then determine how many customers you will need that year, the dollar amount they need to spend, how frequently they need to make a purchase per year. This provides you with a strategy that defines how you will operate your sales and marketing activities. Sales are created through marketing, so you will need to determine which marketing activities will increase the number of leads coming into your business. Social media may be your best outlet to begin your marketing efforts. You may be tempted to try every social media platform available to you, but this will only spread your focus all over the place. You will be focusing on too many places, which lessens the impact of your social media efforts. Instead, you will want to focus on one or two social media platforms so that your efforts can have a deeper impact and produce great results. Determine which social media platforms your target audience uses frequently and focus your efforts on those platforms. Blogging is also an effective way to attract customers to your website. You should create your own blog and guest blog on other websites. Your blog is where you build your following who can be converted into customers. Guest blogging on other blogs is how you let a developed audience know about the existence of your blog and business. This is how you create content that people search for and develop your online brand. You can find the topics your target audience enjoys reading by visiting top blogs within your niche. You will want to learn what type of content gets the most shares and comments. This is the type of content that turns readers into customers. When you write for your own blog and write for others, you want to focus on two things: email subscribers and a strong call-to-action. Your call-to-action should be used to bring attention to your email list. You will wish to offer people something free, such as an ebook or guide in return for their email address. This is how you start nurturing people through your sales funnel. In order to build a successful online business, use the four steps that have been provided to you. You will want to be sure that your online business is being developed to produce the best results possible. This is done by implementing these steps that focus on providing the products or services your customers will purchase. And, by creating content that helps to sell your products or services. That’s where we come into the picture. With an experienced web team to help you with everything from domain name registration to web design, hosting your web site to maintenance and technical support, we take you one step closer towards building a successful online business.